Here are a few fine examples of Broadway bespoke kitchen designs installed in our customer's homes. Broadway designs, manufactures and will install your dream kitchen specifically to your taste - any design is possible with Broadway Kitchens. Broadway Kitchens is renowned for creating outstanding bespoke kitchens in The Midlands, London, Kent, Essex and Surrey, so contact us now and speak to one of our expert team. 01277 212 221. Most people will agree that the kitchen is an essential and central part of every home. Besides using the kitchen to prepare food we also use it for social gatherings too. This is the main reason you should focus on getting a kitchen that looks and feels good and complements the overall look of your home. Broadway Kitchens are kitchen specialists based in The Midlands, London and Essex with over 40 years experience, trained and qualified to design and install every type of kitchen. 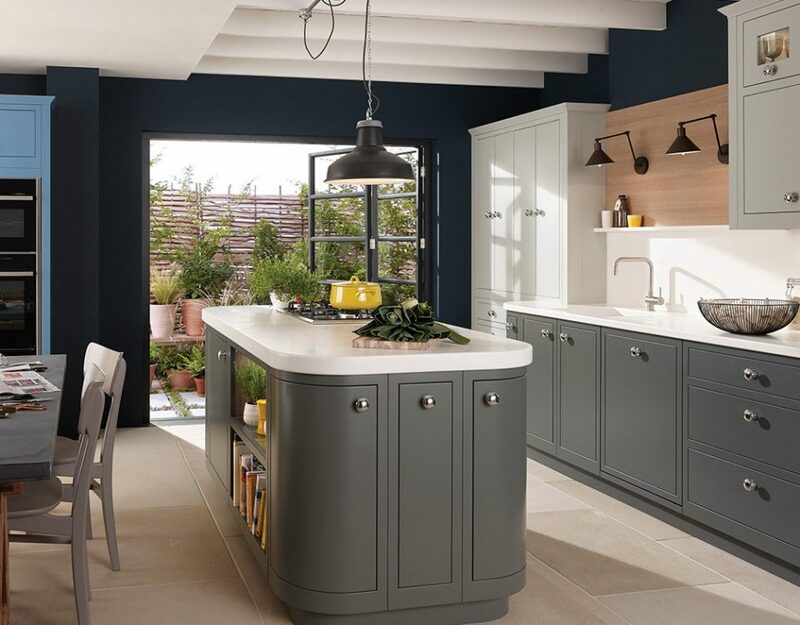 It doesn’t really matter whether you are looking for modern kitchens, classic traditional kitchens, bespoke kitchens, fitted kitchens, German or Italian kitchens – we have everything you need and the expertise to plan, design and install it. The kitchen is a high traffic area used on a regular basis. This means that functionality plays an important role in the actual design of the kitchen. The kitchens we create allow homeowners to use this space in the best possible way with functionality that will make your life easier. The luxury kitchens that we offer are designed to match the needs, requirements, and preferences of every modern homeowner who wants a functional, high quality kitchen. Investing in a kitchen is a long-term investment so don’t let price be the only criteria that you look at. Every kitchen that we create is made from premium quality materials, which means that they are durable and strong and will stand the test of time.